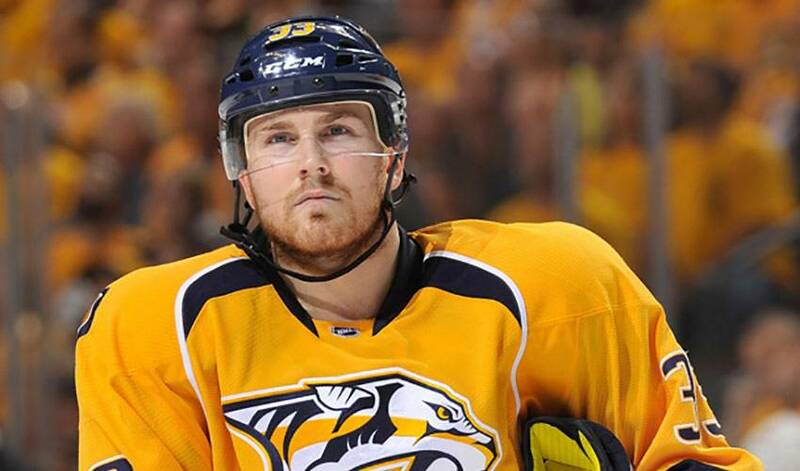 A tough ending to the 2010-11 season didn't derail Colin Wilson's desire to make an impact with the Nashville Predators. All it did was make him stronger and more committed than ever. It certainly wasn't what he had anticipated when last year's playoffs got underway. Appearing in just three games, Wilson, the seventh overall selection of the Predators in 2008, was a healthy scratch on most nights. The player who was awarded New England's college hockey Rookie of the Year, as well as Hockey East Rookie of the Year in 2007-08, didn't sulk or hang his head. Instead, he devised a strategy to get back on track. Its obvious Wilson's conversations with the sports psychologist have helped his game, before, during and after the puck drops. This season, he's found the consistency he strived for, playing meaningful minutes and contributing on the scoresheet. Wilson's positive mindset started long before Nashville's opening game of the 2011-12 campaign. He also had his teammates in his corner, including defenceman Ryan Suter, one of the top two-way blueliners in the league. The most rewarding aspect of this season for Wilson is in seeing the Predators keeping pace with the league's most heralded teams. Wilson has done his part, closing in on his point and goal totals from last year. He's also been strong defensively. While he had plenty on his mind heading into the current campaign, Wilson, who played for Team USA at the 2008 World Juniors, where he tied for the most goals with six, isn't overthinking things these days. Instead, Wilson, who was born in Greenwich, Connecticut, but raised in Winnipeg, Manitoba, is skating with a clear mind and a renewed confidence. And, as current form suggests, things could get even better for both Colin Wilson and the Nashville Predators.